At first glance it may appear that there is not much of a difference between the parent theme Da Vinci and this one, Leonardo. There are differences, though subtle. The header and footer span the full width of the browser screen and the default color for the aforementioned is slightly darker than the main content body. I know it may not seem like a lot but as you can also see at my site Artbiz.ca, a logo in the header gives it a whole new feeling, yet again. 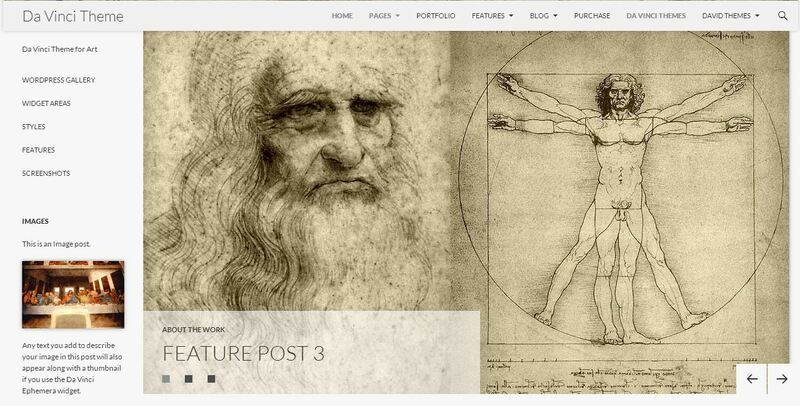 Leonardo is a child theme of Da Vinci. You get both themes with your purchase.